Whether you opt for a day of wine-tasting or good old exercise, we all need to relax and let loose every now and again. One of the firm favourite options among many people is to check into a spa in order to treat themselves to some pampering. But what if that spa experience (on a visual level, at least) could be right in your very own home? That is the ambience exuded from today’s homify 360° discovery, which is a newly completed home in Robertson, Cape Town. With its pale neutral tones, light elegant furniture and calm ambience, it is definitely one of the closest imitations to a spa we’ve seen. Doesn’t this just look like the perfect interior space to relax? An open-plan layout that treats us to a living area and kitchen beckons us to have a sit-down while enjoying the sunshine filtering indoors. 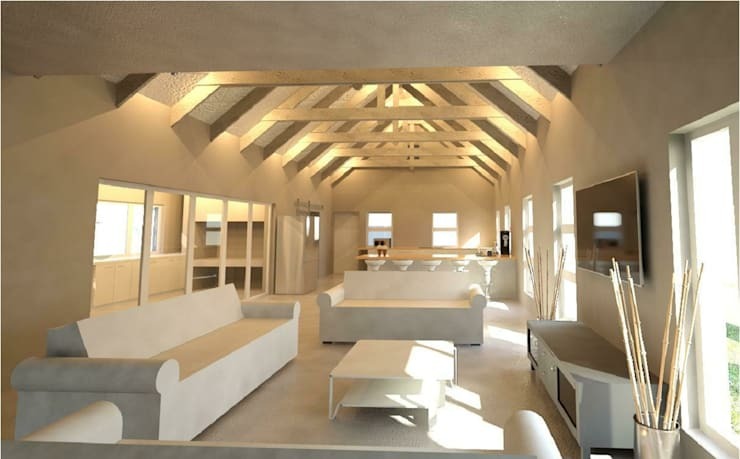 And thanks to the vaulted ceilings (complete with timber trusses), we get a superb feeling of spaciousness! We get to take a sneak peek at the rest of the ground-floor layout via this architectural rendering. It would seem the house (or spa space, whichever term you prefer) treats its fortunate owners to quite the spacious layout – look at how that open-plan stretches on and on, forming into an L-shaped room that takes us to the staircase. 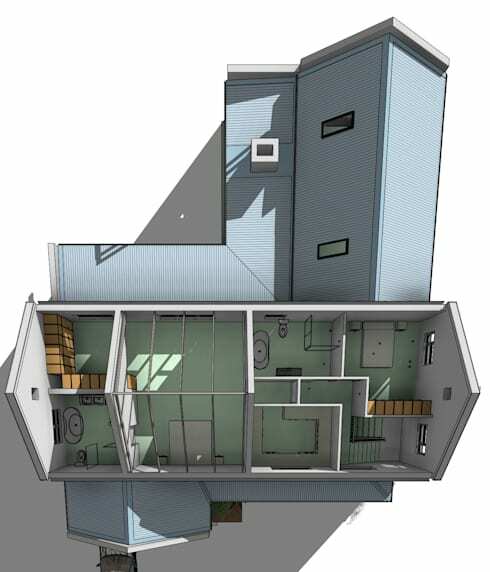 And there’s even a bedroom with en-suite bathroom on the ground floor. And look: a modest little pantry is connected to the kitchen, which means no clutter or chaos in the culinary corner! 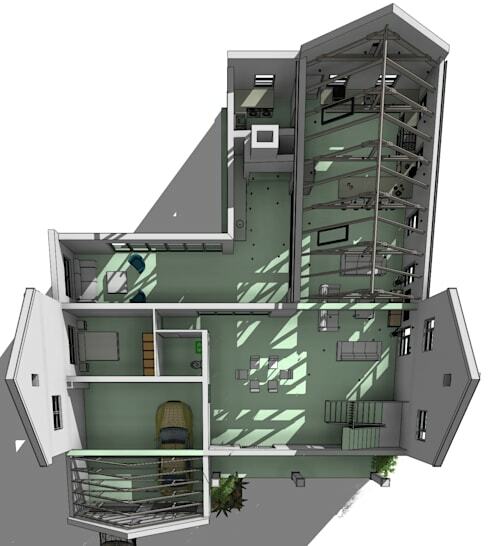 A second rendering informs us that two more bedrooms (one with its own fabulous en-suite bathroom) are located upstairs – and a home office, it would appear (and just when we thought the downstairs floor was the main winner in terms of space and layout!). Although this design is by another designer (and located in another house), we would imagine it to be very similar to one of the upstairs bedrooms in this abode. Notice the crisp white linen, the timber-clad wall imitating a very striking headboard, and the delicate décor pieces that are all as soft and serene as that downstairs living area. Now for the main suite (which has its own bathroom). 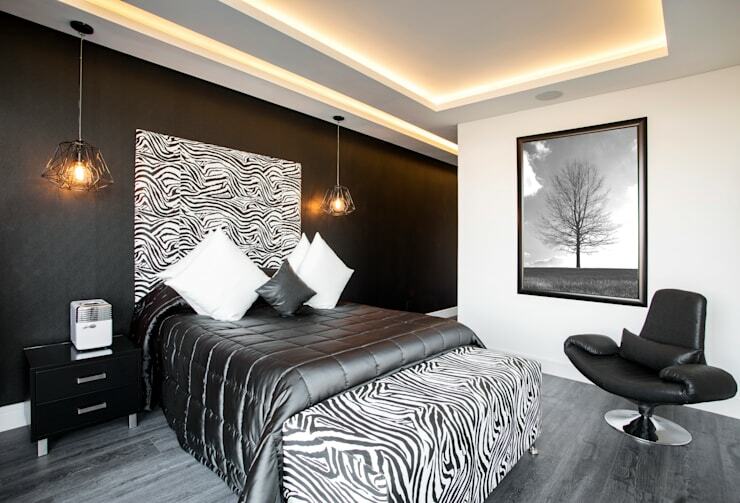 We are thinking that the designers might opt for a monochrome colour palette, treating the owners to a very sophisticated sleeping space via tones and patterns. The décor department will be equally toned down yet stylish in order not to detract from the calming ambience. 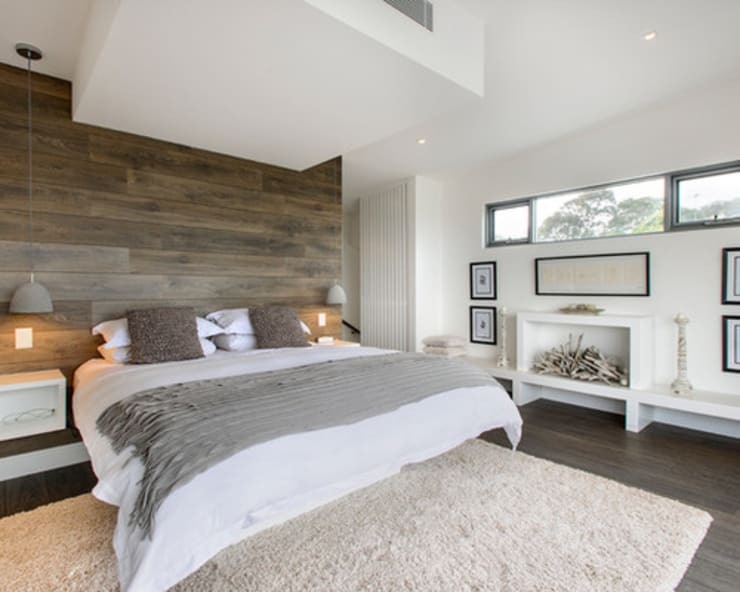 For more dreamy bedrooms, have a look at these 16 pictures of bedroom designs you'll love. What do you imagine the rest of this house to look like?